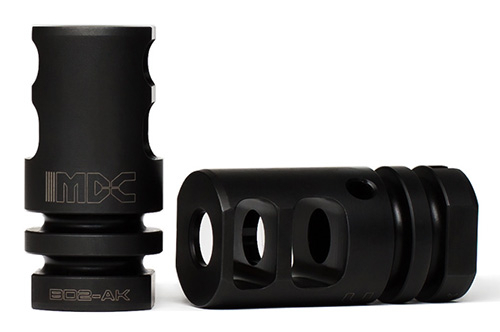 The MDC BD2-AK is a 2-port compensator/muzzle brake hybrid that offers recoil reduction for improved comfort and faster follow-up shots for the standard AK-47 rifle. It is a direct replacement for the standard 14x1 LH AK Rifles, thats minimizes recoil and muzzle movement.The two lateral ports reduce the felt recoil and 2 top ports help to eliminate muzzle rise. 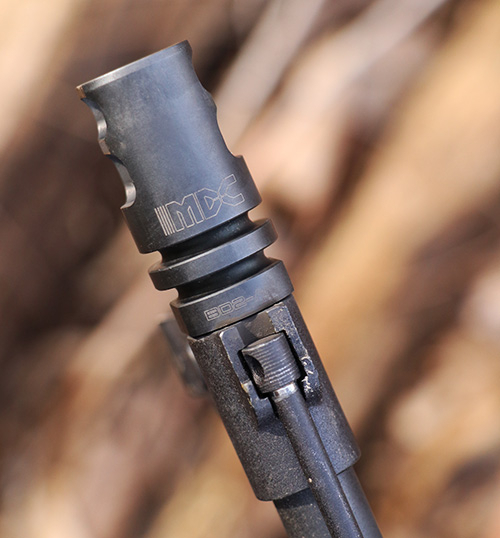 The upper ports are situated at the muzzle so the full force of the expanding gas will keep the muzzle down for a very flat recoil profile. The horizontal ports use the larger volume of lower pressure gas to reduce the felt recoil, keeping your sights on target. 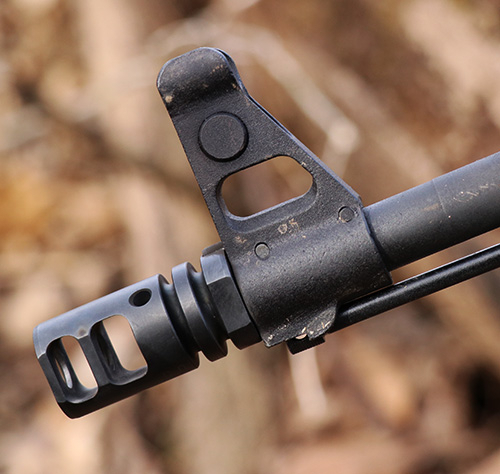 Brake will clear any projectile up to .30 caliber (0.311").